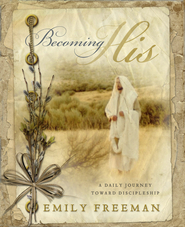 This is an inspirational, spiritual book with experiences from the author’s life to teach short lessons about coming unto Christ a little more each day. There are New Testament passages to look up that go along with each lesson, as well as goals and ideas to help push the reader to live a little better and a little closer to Christ each day. The book goes through different names of the Savior, and explains, expounds on them. It’s not a long book, and each chapter is pretty short, but it took me a long time to read this because I tried to stop after each chapter and apply the teachings I’d just read about and journal about the experiences. It has beautiful paintings of scenes from Christ’s life done by Simon Dewey, so the book is a work of art. A perfect gift to give to someone, or to give to yourself. I want to reread this and explore some of the themes a little more over time. But I highly recommend this one. It’s a touching, uplifting book. This is an absolutely amzing book! Simon Dewey is such an amazing artist, and I love his paintings. I recommend this book to anyone who loves Simon Dewey's art! Bring the scriptures to life with experiences that touch your heart and mind. This is also an excellent way to start each morning. This is an amazing book that provides you with many truly great Experiences that help to bring you closer to Christ. I loved this book. This book provides personal experiences, scriptures related to the topic, and things to do and reflect on daily for 21 days. The illustrations are absolutely gorgeous. Very uplifting with simple steps to become closer with God. Very helpful and beautiful pictures! Improve your life in just 21 days!! Loved this book!! I loved the "invitation" and "journey" part of each section. Loved the beautiful art work. I really feel this book helped me come closer to Christ, so much so I bought a few as gifts. Great gifts for friends and family. I cannot say enough about how this book has helped me. I have been inactive most of my life with bouts of trying to 'get religous.' I now realize the way to do that is to get to know the savior. I try to do a chapter every morning, which usually takes me about 10 to 15 minutes. I plan on rereading this book over and over, and I also plan on giving it to my chidren and grandchildren for Christmas, because I now believe the way to 'get religious' is to get to know the Savior on a personal level. Thank you so much Emily Freeman and for the beautiful paintings by Simon Dewey. Wow! This book is one I highly recommend for everyone. I wanted to read this book cover to cover in one sitting, but I ended up reading a chapter each day for 21 days. Through this process I really have come to know Christ more personally. It's full of personal stories, scriptures and quotes from the Prophets and Apostles. Simon Dewey's art work is awesome in here too. This book will bring you closer to Christ, and will strengthen your testimony or give you a testimony in the Savior.